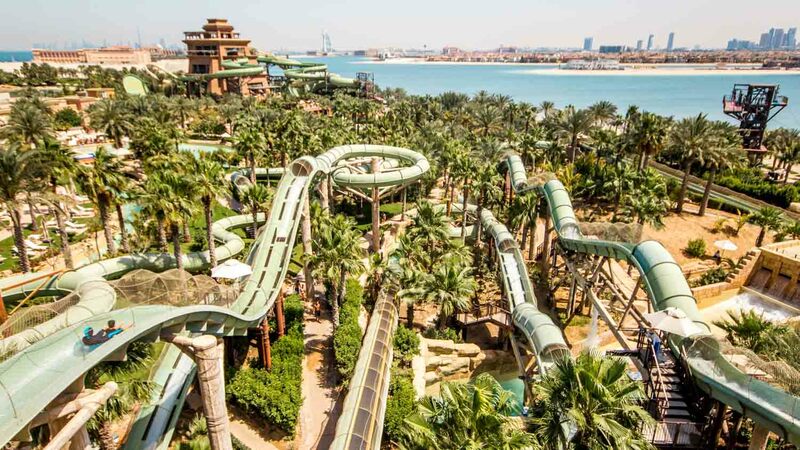 Among the many attractions at Atlantis, The Palm, the Aquaventure Waterpark provides one of Dubai's best family days out. Discover relaxing beaches, immersive aquarium tours, and an eatery for every taste. Don't ride any of these on a full stomach though! 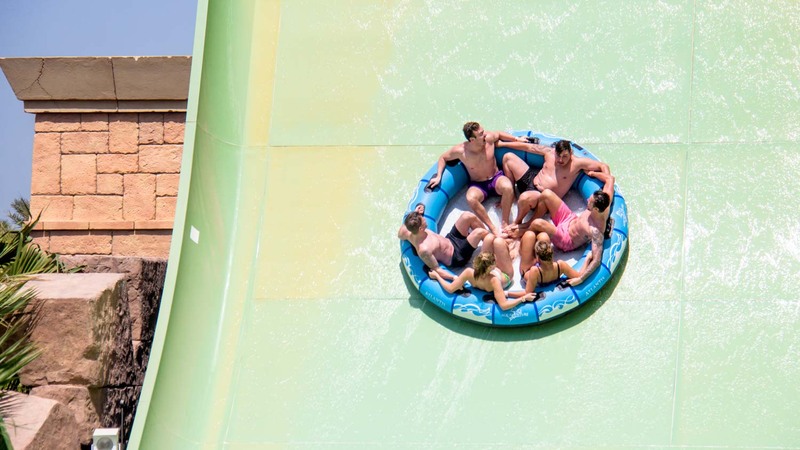 Cascade 9 stories down one of the park's most exhilarating waterslides! Once the near vertical drop is over, you'll find yourself hurtling through a tunnel of sharks and rays! 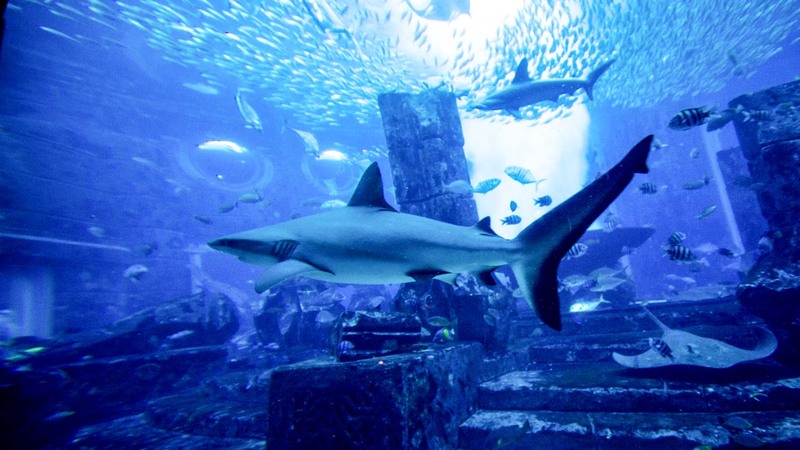 Fancy the shark tunnel without the death-defying drop? Try this fun marine safari instead. You can ride in twos so share the experience with a friend or family member! One of the most terrifying waterslides ever devised! Enter the capsule and wait for the ground to vanish beneath you. The rest is not for the faint-hearted! 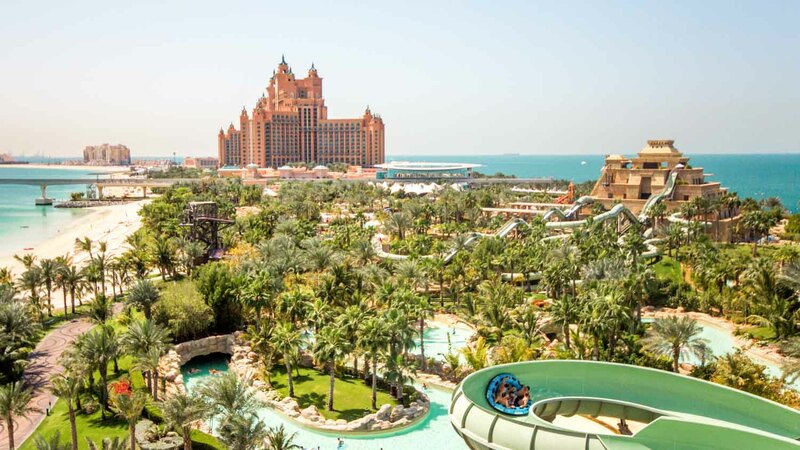 The longest zip-line in the Middle East gives great views over Dubai and the Atlantis resort. There's an additional charge for this attraction but the adrenaline rush is worth it! Like white water rafting without the effort, The Rapids is a twisting, bumping river journey with thrills around every turn! Aquaventure is open daily from 10:00AM. Closing times vary depending on the time of year, but the park starts closing down around sunset. 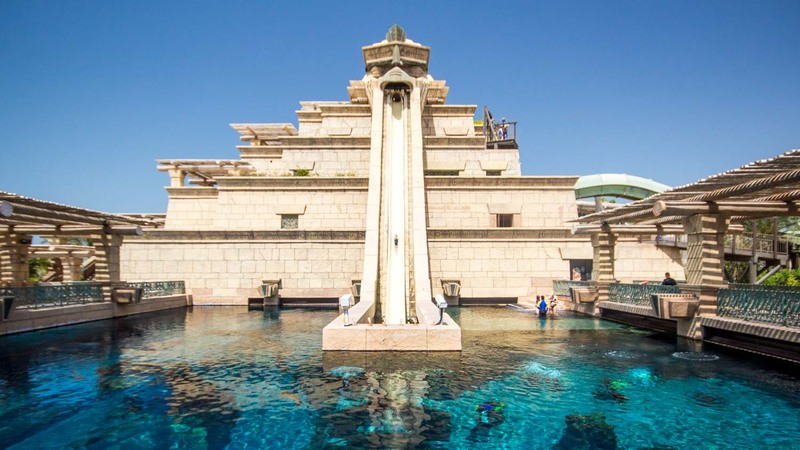 Aquaventure lies within the Atlantis, The Palm resort on the Palm Jumeirah artificial islands. There are no Metro stations so you'll have to get a taxi or drive there yourself by following Crescent Road around to The Avenues, where the waterpark's entrance is located. Alternatively you can also head to Al Sufouh and take the monorail from there. Open daily from 10:00 until about sunset. An adult ticket to the park is 250AED, or about $70. A guide is not necessary, but check our our great pass options! Take a taxi or drive yourself along Crescent Road to The Avenues, or take the monorail from Al Sufouh. Your admission ticket does not cover extras like a locker, food, or towels. Amazing dat at the aqua park. It's beautiful! We even received free meal vouchers. We didn't know that in advance. Stones are hot so bring shoes. Also selfie sticks aren't allowed, but it is a very nice park with cool things! Great service from getyourguide!! Fantastic! Boys were amazed by all of the different types of slides! The overall experience was amazing. The boys were thrilled and tried every single slide and water attraction at the park. They slid non-stop for hours despite the weather being a little chilly. Aquarium was interesting but they felt it would have been more fun if there had been more interactive stations to learn about the different fish. Easy to book here, but not much advantage to prepurchase as we still had to wait in a long slow line up at the waterpark. I highly recommend to buy tickets via This website. We completed the Lost Chambers and the Waterpark in about 6 hours. Waterpark could do with maybe one or two more slides. Overall, very impressed.